Today's the big day. 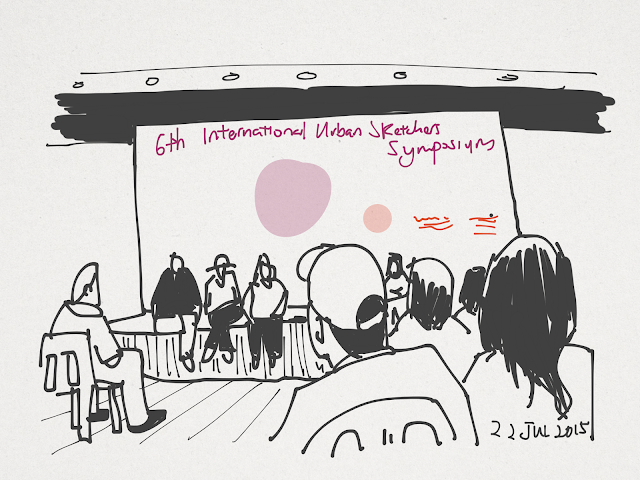 The 6th edition of the Urban Sketchers Symposium officially starts in Singapore today. I went down early for the meeting with the organizers and instructors in the morning, and in the afternoon stayed around for the registration. I'm getting to like sketching digitally more. It's so convenient. 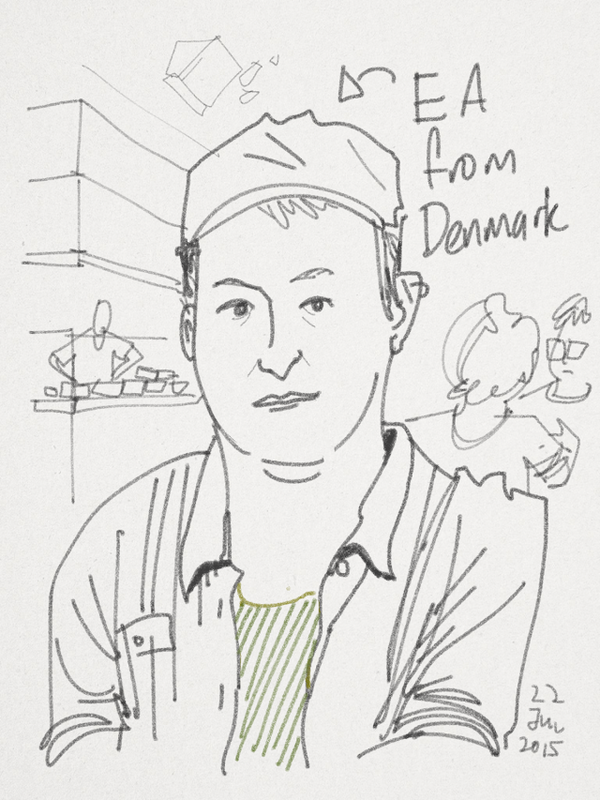 I've use the Wacom Bamboo Paper app for all the sketches today. 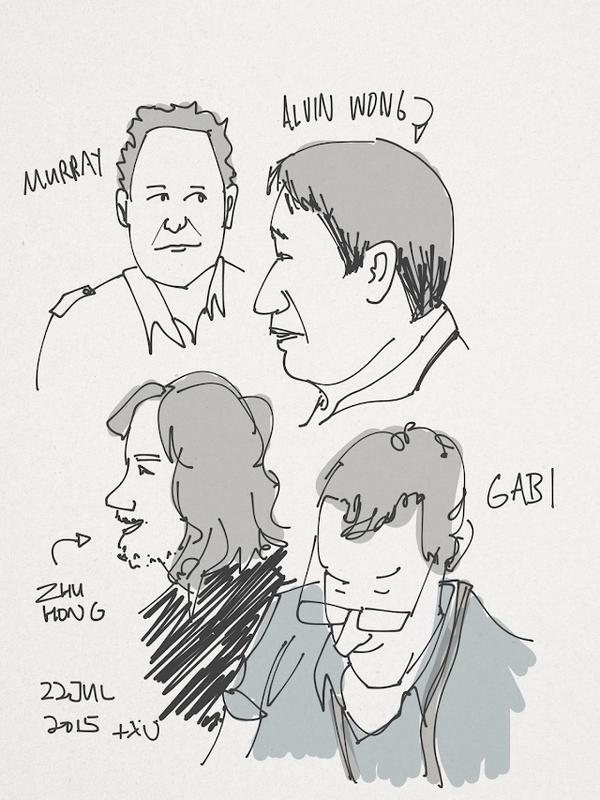 I'm not good with names but drawing people helps me remember them better. 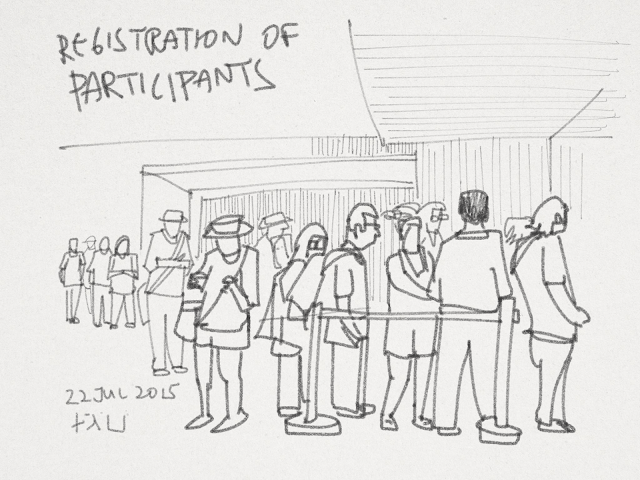 The queue for the registration took quite long. There were like hundreds of people. 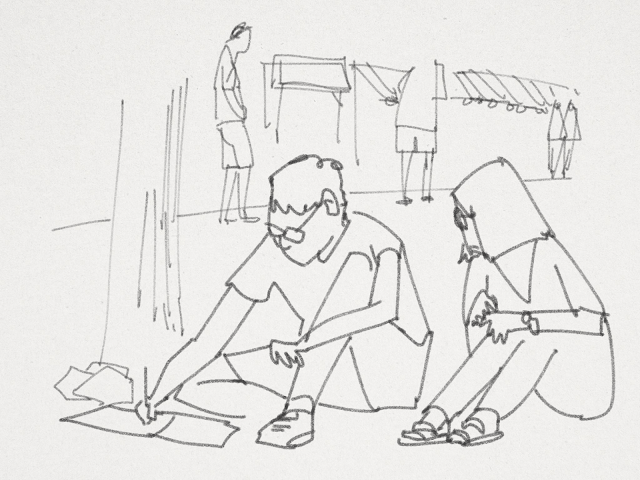 It's heartening to see so many people who share the same passion in sketching coming together. 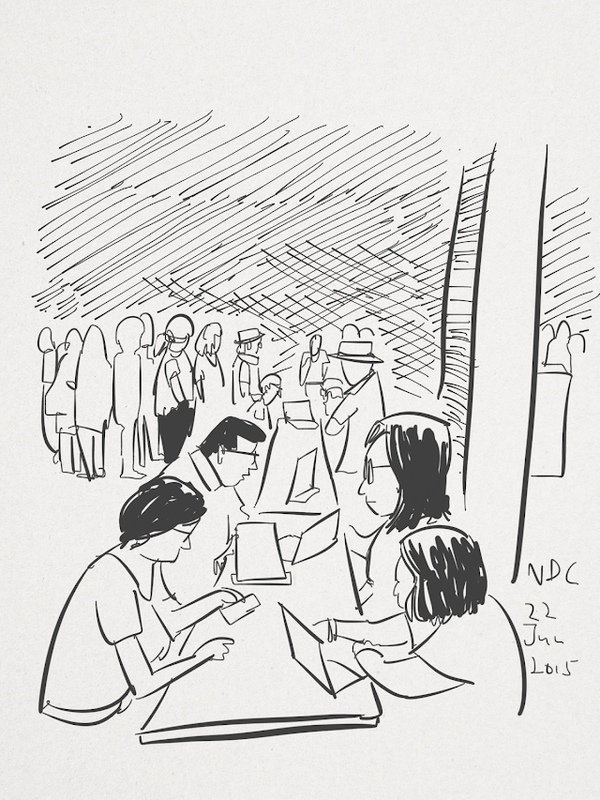 In the afternoon after the registration, we started the symposium with the first sketchwalk around the vicinity. As the group is too big, we had to split into two groups to go to Waterloo St and Seah St.
Madhu used to live and work in Singapore. He has since moved back to India. It's great to see him again. 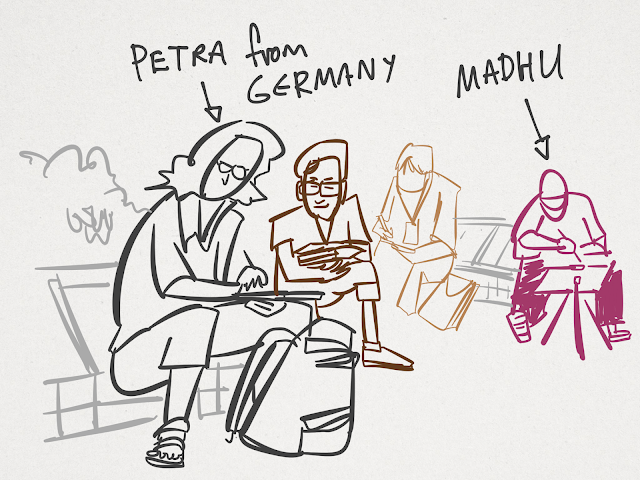 Petra is a new sketcher I met who's from Germany. The workshops, activities and demonstrations would start tomorrow. I'll be covering and sketching a few of the workshops and will try to squeeze in some drawing tips too. Here's the video for day 1.